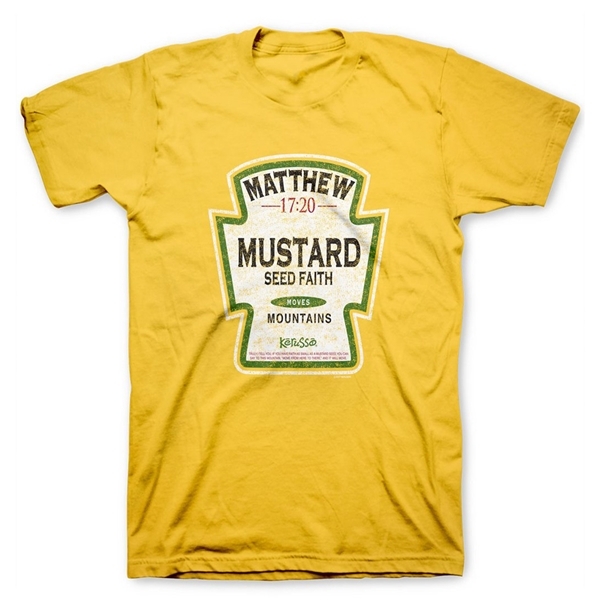 This Christian T Shirt offers an eye catching way to share your faith in Jesus. 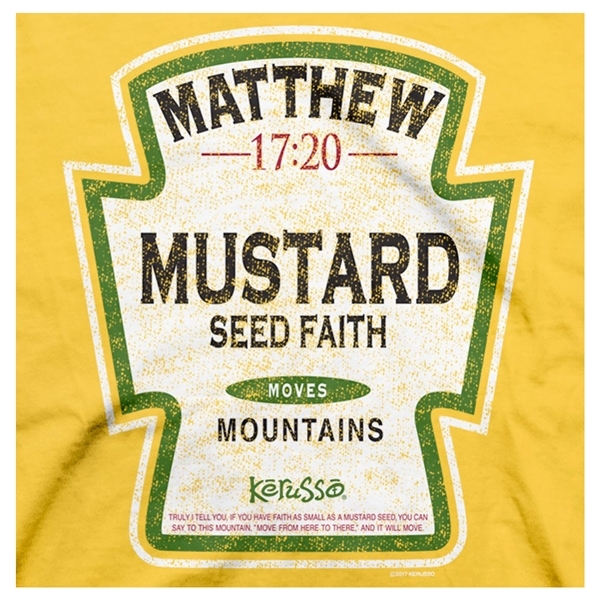 The front reads "Mustard seed faith moves mountains" along with Matthew 17:20 which reads, "Truly I tell you, if you have faith as small as a mustard seed, you can say to this mountain, 'Move from here to there,' and it will move. 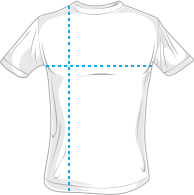 Nothing will be impossible for you."